Last week we attended the Brooklyn 5G Summit, an event that is cosponsored by Nokia and NYU, but which brings together all facets of the industry, including major mobile operators from around the world, chipset companies, vertical markets, academia, and even Ericsson and Huawei. To keep things interesting, T-Mobile and Sprint announced merger plans on Sunday, thereby giving us something else to write about. And then there were 3. 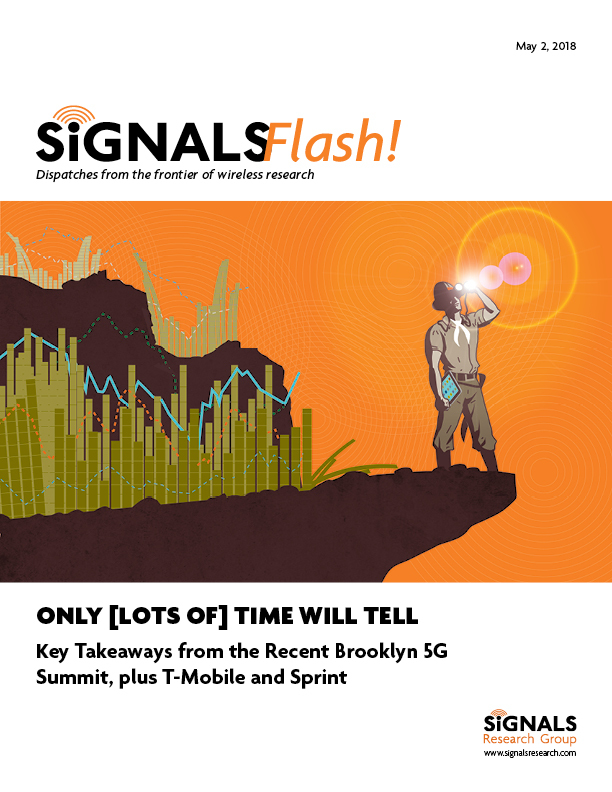 The combined spectrum assets of Sprint and T-Mobile help solve each operator’s individual dilemma – Sprint customers gets low-frequency spectrum for coverage and T-Mobile customers get mid-band frequencies for capacity. Merging the assets won’t be easy and there aren’t devices/chipsets, let alone 3GPP specifications, which support simultaneous use of their bands (i.e. LTE carrier aggregation and dual-connectivity with 5G NR and LTE). A Bit of 5G Nationalism. Merging the companies may help with their near-term 5G ambitions, but it won’t help the US lead in 5G – not that the US led with 4G or that leading with 5G really matters. Being first to market with 5G is helped by accelerating the allocation of more mid-band spectrum and by relaxing regulations that delay new network rollouts. Getting the 5G core network in place is also critical, and the merger could delay this activity for The New T-Mobile. The Private Network Conundrum. Industries want 5G NR for factory automation and the benefits are real. Making this goal a reality will be challenging and everyone wants to “own” the network. Vertical markets complain 3GPP isn’t addressing their concerns yet their participation in standards meetings is slim. We explain. Bits and Bytes. We include other thoughts from the 5G Summit, including the 5G business/use cases, IAB (Integrated Access and Backhaul), cellular V2X, and the edge of the network.